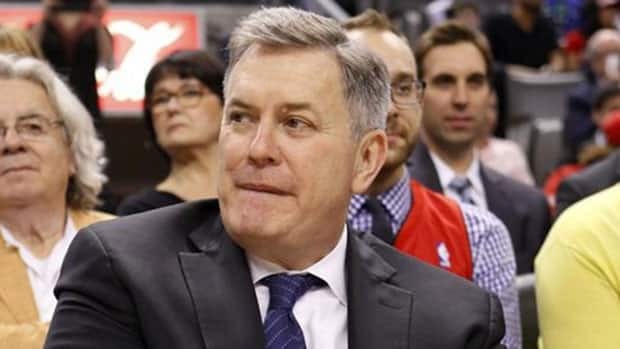 Tim Leiweke, president and CEO of Maple Leaf Sports and Entertainment, denied a report from Hockey Night in Canada's Elliotte Friedman that he's leaving, but he did admit he won't be in Toronto "forever." The fairest thing to do is begin with the denial. Tim Leiweke, president and CEO of Maple Leaf Sports and Entertainment, denied my report that he would soon step down from his current job in search of his next challenge. "Not true," he wrote via email. "Not here forever, but very focused and very committed for the season at hand. Not thinking about long-term yet." He followed up later with an even stronger public statement. It's not a secret that the relationship between Leiweke and MLSE's board is strained. The NHL rights fight between Rogers and Bell made it impossible for the highest level of the organization to work together. Those are difficult waters to navigate and might not be settled until one of the corporate overlords decides to end the troubled marriage by invoking whatever shotgun or sunset clause exists. I can see Leiweke not wanting to deal with that any longer. I can also see the board members uncomfortable with his power. Leiweke was handed a lot of control, and he's unafraid to use it. Twitter was full of "mission accomplished" jokes, but there's no doubt he's made massive changes. The board is full of people who are used being in charge. Leiweke's made it clear: We're doing it my way. Whenever he leaves, there will be questions about his legacy. It's kind of silly, since we're a long way from the real answer to that question. Leiweke was never going to be a permanent Torontonian; everybody understood this was a chapter in the book of his life, not the epilogue. It was always a matter of when. If my "soon" turns out to be wrong, it will be because his public statement sure makes made it sound like he's going to be around for at least the 2014-15 NHL and NBA seasons. It's business as usual for him right now. On Wednesday afternoon at 2 p.m. ET, he's scheduled to take the ALS Ice Bucket Challenge, one of the great social media creations ever.